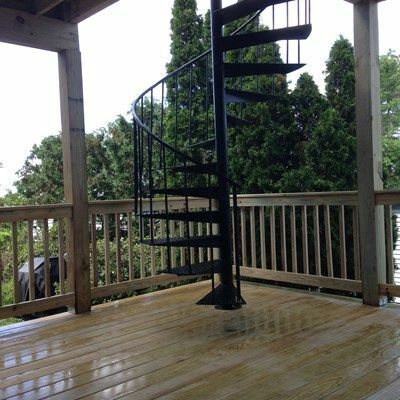 A beautiful double decker with pressure treated decking and railings and a customer supplied spiral staircase, complete with a sweet view of Black Rock Harbor! 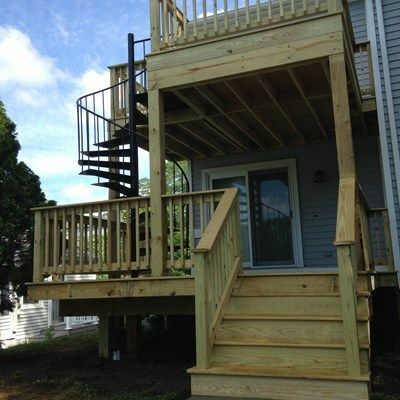 A wonderful example of our workmanship on pressure treated decks. 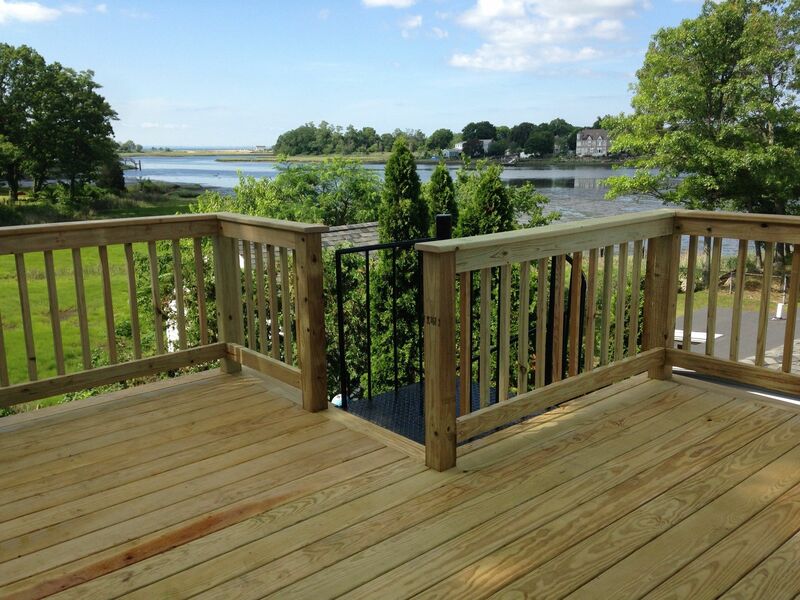 CAMO stainless steel hidden fasteners were used on the decking here.